Le darbuka, aussi connu sous le nom de darabuka, se joue en position assise. Le tambour est placé sur la cuisse gauche, avec l’orifice sonore dirigé vers l’arrière. • Y compris la housse gigbag. GB £ 25,00 Nordirland: BT, Kanalinseln Guernsey und Jersey: GY, JE, Äußere Hebriden: HS, Isle of Man: IM, Schottisches Hochland (Highlands) und Isle of Skye: IV, Orkney Inseln: KW, Shetland Inseln: ZE Firth of Clyde Inseln: KA27-28, Region Argyll and Bute mit Loch Lomond und Innere Hebriden: FK17-21, PA20-38, PA41-49, PA60-80, PH16-50, Isle of Wight: PO30-41, Isles of Scilly: TR21-25. La derbouka égyptienne El Fan DR-102S de Gawharet est vendue avec sa housse, une peau de rechange et une clef de réglage. DERBUKA ou DJEMBE EGYPTIEN. avec sa housse de protection. Diamètre : 20 cm. - Hauteur: 38cm. This is a beautiful new 17" Darbuka, which includes an extra clear synthetic skin and a premium case. Top quality drum, with a beautiful inlay of real mother of pearl in a very traditional Egyptian design. 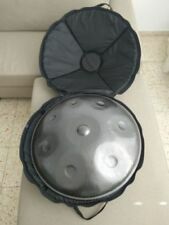 HIGH QUALITY ALUMINUM BODY CRACK PAINT EGYPTIAN DARBUKA. With the rim sitting flush to the head on this drum, finger-snapping techniques are easily executed. The durable synthetic head easily and quickly changes range from deep, resonant "doum" lows to snapping, ringing highs that both fully project. - Kessel u. Reifen: Aluminium - Höhe: 38 cm - 5 Spannschrauben zum Stimmen. - M. Stimmschlüssel - Kessel u. Reifen: Aluminium - Höhe: 32 cm - 4 Spannschrauben zum Stimmen. En aluminium. Hauteur: 36,20 cm (14 1/2"). Diamètre: 20,32 cm (08"). Peau synthétique interchangeable. En aluminium. Hauteur: 34 CM. Diamètre:18,05 cm. The Sea Star Mop Gawharet El Fan New Generation 2.0 Darbuka Doumbek With Remo Turquoise Skin Head. 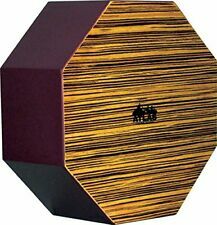 This is a top quality drum for professional Doubmbek players, or art collectors. 6 bolts head drum. That does not affect the sound or quality of the drum. Atlas aluminium darabuka, résonnant-turc fait tambour avec pouvant être syntonisé 20cm head. Aluminium body, Turkish made Darabuka with tuneable plastic head. Atlas Plain Darabuka, 20cm head. Tuneable head. Good lightweight drum. Modern take on this ancient drum. If you are in the UK, there is probably a branch of Hobgoblin Music near you. This Egyptian Gawharet El Fan drum is an authentic classic designed darbuka. REMO 8.75" Orange Mist Skin Head. The picture is for demonstration purpose only. That does not affect the sound or quality of the drum. 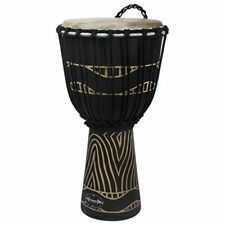 This is a beautiful new 17.5" darbuka. 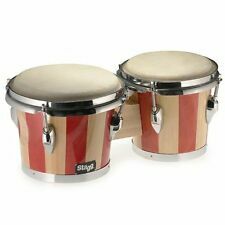 It's the new generation ofEl-Masry drums. Higher and wider with a unique bottom finishing. Amazing Drum! This drum is a top quality drum! Padded premium case and 1 extra synthetic head included. 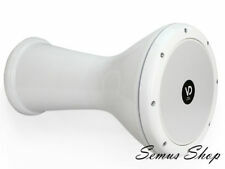 SOMBATY RANGE BASS DARBUKA. BASS DARBUKA! BIGGER THAN REGULAR. BASS SOUNDS DOUMBEK. WITH FREE SOFTCASE EXTRA SKIN AND KEY . DRUM HEAD TOTAL SIZE AROUND 12". SYNTETIC DRUM HEAD SKIN. The head is secured and tuned with external rings set close to the shell, in the Turkish-style. Light yet poweful, the darbukas have deep full bass. They are well suited for high-pitched snapping sounds as well as a wide range of articulated "doum" and "tak" strokes. This is a beautiful new 17" Darbuka, which includes an extra clear synthetic skin and a premium case. 17" (42.5cm) high. That does not affect the sound or quality of the drum. Top quality drum, with a beautiful inlay of real mother of pearl in a very traditional Egyptian design.